In today’s digital era, you can get a fresh meal sent to your door in minutes. While great for humans, your pet is stuck with the same old food day in and day out. If you are feeling bad about your pet as you munch down your next organic salad, you may be interested in PetPlate. PetPlate, the company that is humanizing pet food is providing your pet with healthy delivered meals that contain tasty and healthy ingredients. The company only uses clinically approved foods and is a great way to ensure your pet’s palate is satisfied. 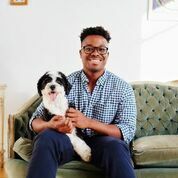 AlleyWatch chatted with founder and CEO Renaldo Webb about the startup and how they plan on changing the dining habits of your pet friends. PetPlate is the first pet food delivery service to ship freshly cooked, pre-portioned meals, made with USDA ingredients, nationwide. All of our meals are based on recipes formulated by a veterinary clinical nutritionist for optimal pet health and wellness. 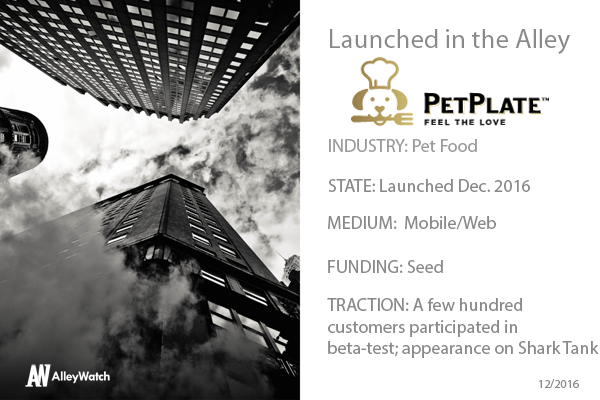 At PetPlate, we are on a mission to humanize pet food to make eating healthy and fun for pets and their loved ones. For example, we are the first pet food delivery service to offer pre-portioned pet meals using a high-tech preservation system called cold-pressure technology that destroys any harmful bacteria and locks in nutrition and flavor – the same process used to preserve many human foods, such as hummus and guacamole. PetPlate is attacking the $24B pet food market. We are going Direct-to-Consumer and Ecommerce. As a management consultant, I spent time in pet food manufacturing facilities, where I learned first-hand about the inferior ingredients that go into traditional pet food, and I thought, there has to be a better way, so I set out to reinvent the way we nourish our pets. Is the market for pet owners that want to provide individually cooked meals for their pets large enough to support your business in the long term? We believe it is. There is a growing number of consumers who have come to understand the limitations of traditional pet food, which often contains rendered meats and byproducts – something that is highly problematic for pet parents who want to nourish their pets with love. PetPlate meals are made from a nutritional balance of fresh, wholesome ingredients that do not contain any by-products, rendered meats, or preservatives. In 2017, we plan to launch pre-portioned meals for cats, as well as a variety of tasty treats for both dogs and cats. We will also be offering meal plans that target specific therapeutic areas. Our ultimate goal is to enable millions of pet parents to serve their pets real food every day. That sales are hard. I feel many startup founders can get preoccupied with building a great website, brand, or supply chain. But all that doesn’t matter unless people are buying your product. There are so many great online consumer brands in NYC, such as Harry’s, Bonobos, and Warby Parker. I’d love to meet their founders and executive teams to learn how they built amazing web-enabled brands. Well, first, I live in Brooklyn, where the energy is terrific, plus there are a lot of resources for start-up companies, especially in the food space, and there is a lot of great talent. I’m a HUGE soup dumpling fan, so I try to visit Joe Shanghai at least once a month.